Zen Studios has officially announced CastleStorm, heading to the Switch eShop on August 16. The Switch version will support HD Rumble and 2 Joy-Con play. Online co-op play is supported as well. Check out the trailer and full details below. Raze castles and conquer your rivals in CastleStorm on Nintendo Switch™! A super-genre mashup of 2D physics destruction mashed with a tower defense brawler, players are catapulted right into the heat of the battlefield, casting their swords against formidable foes like knights, soldiers, archers and even griffins in thrilling castle vs. castle combat! o HD Rumble – feel the rage of the battle and the full force of incredible tower destruction in the palm of your hand. o Touch Screen Controls – swipe your way across the battlefield, zoom in on the intense action, or fire the ballista at will. o Pro Controller Support and Support for 2 Joy-Con™ play – provides many ways to enjoy the game in split-screen mode. o 60 FPS in handheld mode / 1080p in docked mode – allows CastleStorm’s beautiful worlds and comedic story come to life at home or on the go. Sir Gareth leads the Knights into battle against the raging Vikings to recover the stolen gem and bring peace to the realm. 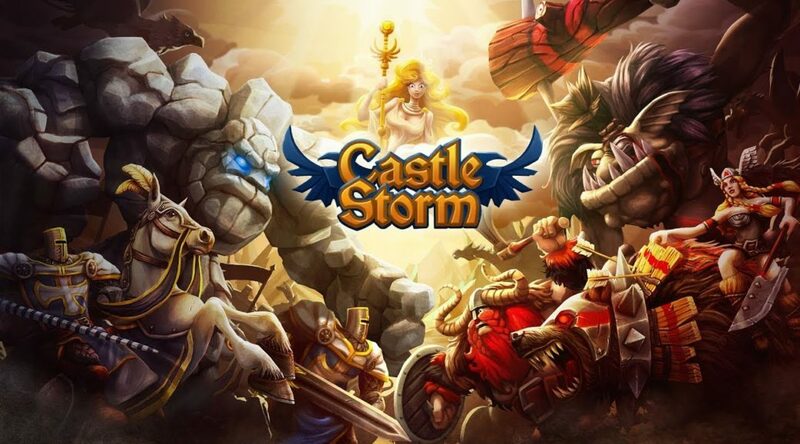 CastleStorm on Nintendo Switch features the full CastleStorm experience, including expansions From Outcast to Savior and The Warrior Queen. o Online Multiplayer Survival Co-op: Two players team up to fight off the enemy together. One player controls the ballista, the other controls ground forces. o Online Multiplayer Hero Survivor Co-op: Both players control a hero and fight off endless waves of enemies together. BUILD STUFF! CastleStorm features a tower construction editor that allows players to construct their own custom castles that will be used in battle, including online multiplayer battle. Castles must be constructed wisely, as choices determine which types of troops and resources will be available during battle.